"Last night I downloaded a fantastic movie on my HP computer. When I started my computer today, it turned out all my computer data became inaccessible. Can anyone give me a suggestion about how to recover data from HP computer free?" "My HP computer became blue screen suddenly. When I restarted it, a video folder disappeared. I don‘t know what happen but I really need those videos. Is there any free recovery tool for HP laptop hard drive?" HP Envy laptops, HP Pavilion laptops, HP Spectre laptops and other excellent versions of HP laptop hard drive with high-performance enable you handle the computer with joy and fun. But it‘s unavoidable to lose data from your HP computer due to wrong operation, attached by virus, disc failure or formatted/corrupted/damaged hard disk. There are so many uncertain factors would happen to your computer, therefore a professional data rescue tool is necessary. It‘s quite possible to restore HP lost documents, photos, videos, music and etc. from hard drive free with this tool - Free Any Data Recovery software. 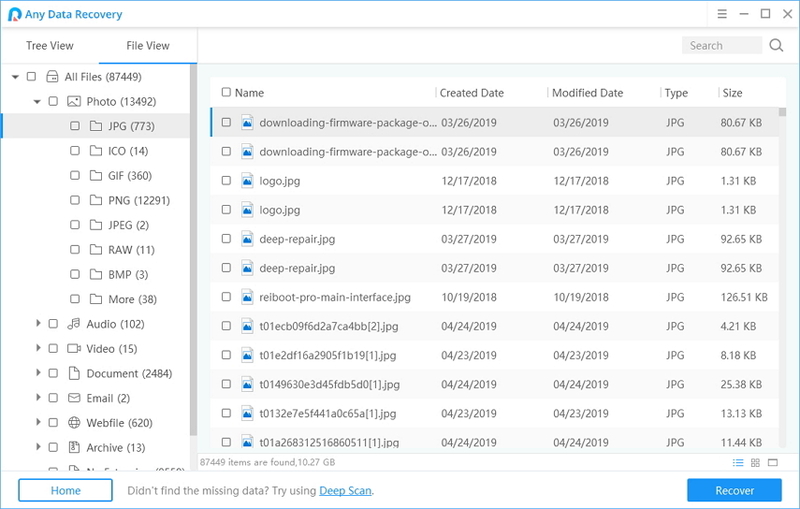 When files on HP computer are deleted, lost or formatted, they are not immediately destroyed but just marked as inaccessible and invisible data. You still have chance to retrieve lost photos, documents, videos free on HP laptop before Windows overwrites those parts of hard disk with new files. So now, see the details below on how to use this free HP data recovery software. First, download free HP data recovery software to HP PC and launch it after installation. Step 1: Select file types you want to recover, then click “Next” to proceed. Step 2: Select a location (Desktop, My Documents or one of HP hard disk drives) or hard disk drive to scan lost files. 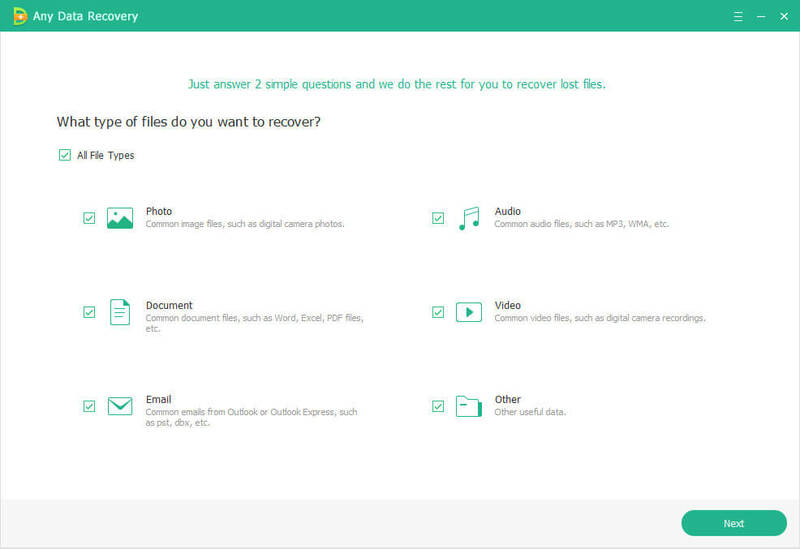 Step 3: Preview files after scanning, then select needed files and click “Recover” to start recovery. The most efficient way to prevent data loss is to create frequent backups of your HP computer files. It would be a good idea to store your files in at least two partitions. This reduces the chance of losing your data if the OS happens to fail. One of the biggest threats to your data is malware. Some destructive programs can create a large number of unwanted and harmful entries in your computer and cause system crashed. Thus a qualified anti-malware program is necessary for you to protect files on HP laptops. Within above 4 steps, you can easily recover lost or deleted data on your HP computer for free. One important thing to note is that the lost data will be lost permanently when new data overwrites it. So get Free HP Data Recovery software now!